Thread: Cards Picturing or Listing Coaches? The Cameo thread got me thinking. Are there sets/cards each year that traditionally have a card that lists or pictures the coaching staff? A lot of regional sets in the past had coach cards (Mothers Cookies for example), but I can't say if that is still a common feature in those types of sets, as I have not picked up many newer ones. 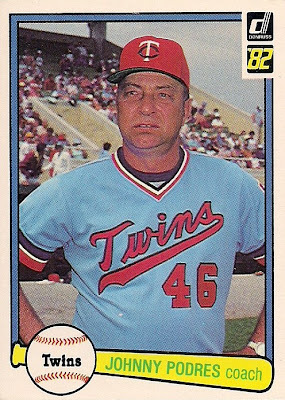 Assuming Topps Heritage is around in 8 years, the remake of the 1973 set will feature coaches. Same with 1974. Hopefully before those come around both of our guys will get a shot at managing. I feel pretty good that Butler will eventually be given a chance, having already managed the Reno Aces to a AAA championship. Given the constant turmoil in Miami, he may get a chance there at some point in the near future. OV's the 1B coach in Detroit, so I was hoping there's some team set out there that has a coaches card, or has one card that even just lists the coaches. Your hopes mirror my own. It looks like the Marlins put out a team-issued set each year, too. I'm hoping coaches are part of the set if they do a set this year. 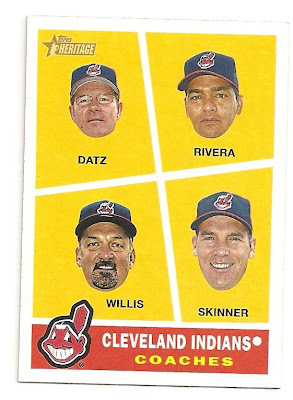 The 2009 Topps Heritage set had coach cards to mimic the 1960 Topps coach cards. 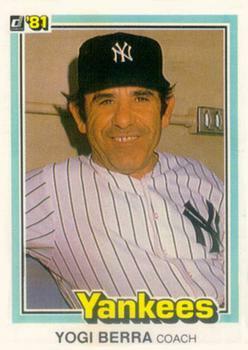 Also, the 1981 and 1982 Donruss sets included coach cards. Last edited by Austin; 04-13-2014 at 07:03 PM. The Giants put out team sets printed by Topps, sponsored by a local(ish) company, each year that include coaches cards. That's the only way I get new cards of Hensley Meulens and Roberto Kelly each year. Beyond that, pretty much only minor league team sets and those team issue photo card sets still include coaches. In recent years, the Marlins, Pirates, Orioles, Giants and Rangers have been issuing the photo cards. Last edited by DaClyde; 04-13-2014 at 07:20 PM. The Blue Jays annual SGA card set usually includes coaches. Last edited by olerud363; 04-14-2014 at 06:19 PM. Is DAV still doing sets? Those were good for coaches. Hasn't been much lately in the way of coach cards. Team sets are best. Can also collect team checklists with team photos, coaches are in those photos. Coach cards make up a sizable portion of my Zimmer collection.